IFP-R3: Optimized production process for inner dashes and floor insulators | Autoneum. Mastering Sound and Heat. 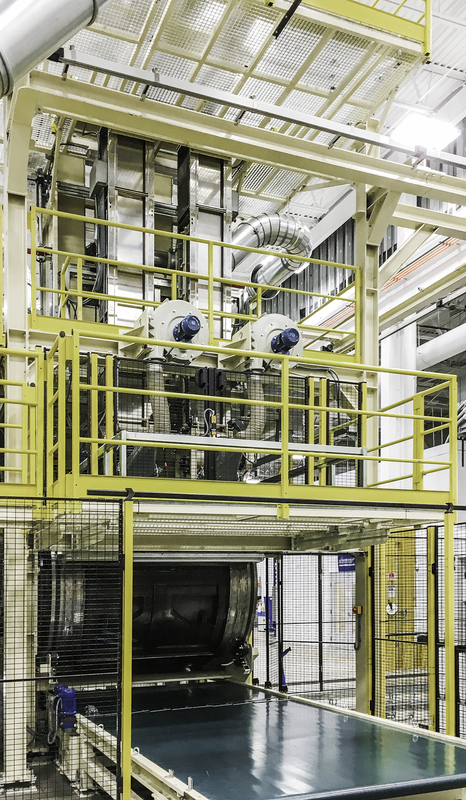 With “IFP-R3”, Autoneum has further improved its renowned manufacturing process for multifunctional, felt-based inner dashes and floor insulators and modernized the corresponding production line. The new line is characterized by a higher production output, lower maintenance intensity and less material usage. At the same time, “IFP-R3” is predestined for the manufacture of large components with high acoustic performance which makes the parts particularly suitable for use in sport utility vehicles (SUVs). To support automobile manufacturers in the production of lighter, quieter and more fuel-efficient vehicles, Autoneum has optimized its process for the fabrication of lightweight inner dashes and floor insulators. The fully automated “IFP-R3” production system is based on the Rotating Injection Fiber process developed by Autoneum. The basic material, a felt-fiber blend, is continuously injected into a component mold located in a rotating drum to create stable in-termediate products which are subsequently converted into acoustic components. Compared to the previous model, the “IFP-R3” line has two additional feeding systems for the felt-fiber blend that allow a significantly higher production output while simultaneously reducing manufacturing time by 50%. Thanks to the line expansion, large felt mats can be processed into inner dashes and floor insulators that are particularly suitable for all-terrain vehicles and SUVs. With this system, Autoneum is making a decisive contribution to the weight and noise reduction of these globally sought-after vehicle models. As a result of the system adjustment, Autoneum also achieves a better environmental performance of the production process, as fewer fiber scrap is generated and can additionally be reused in the component production. “IFP-R3” is already operational in various plants of Autoneum and the joint venture company UGN in North America and will in future be implemented at other Autoneum sites in Europe and China.